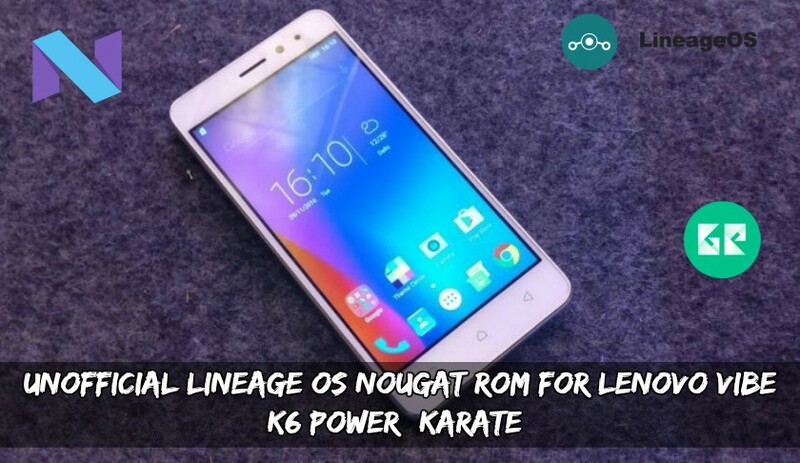 OS Nougat ROM for launched Lenovo K6 Power (karate). This is a stable ROM yes you heard it right it’s a stable ROM. If you want to get a lineage OS experience you can install this ROM. Let’s check it out what’s working in this ROM. Everything is working in this ROM it’s a bugless ROM. If you are a Lenovo K6 Power (Karate) user then you must install this ROM. It’s a faster, better ROM than Lenovo stock ROM. You will get complete stock Android experience. So why wait read the steps and install this ROM. NOTE: This ROM only works for Lenovo K6 Power (Karate), Don’t try it on other models. Download Lineage OS ROM from below. Download “lineage-14.1-XXXXXX-UNOFFICIAL-karate.zip” and copy it to external memory. Then navigate to the lineage-14.1-XXXXXX-UNOFFICIAL-karate.zip file, which you downloaded before.